If you’re in need of a durable flood light for outdoor use, search no further than the Atlas 43 Watt LED Flood Light. Don’t let the familiar look fool you — the Atlas 43 Watt LED Flood Light is a lot more than your basic flood light. 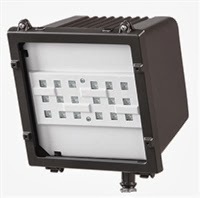 The Atlas LED Flood Light is a high efficiency light with an output of 3448 lumens. It delivers 70 percent or greater of the initial lumens at 60,000 hours, making it one of the brightest, most efficient lights on the market. This outdoor flood light’s efficiency is thanks to Atlas’ exclusive Thermal Stacking Technology System™, which helps keep the light at a low temperature, resulting in a brighter and whiter light with a longer LED life. Unlike most LED lights that cast a blue hue, the 43 Watt LED Flood Light operates at 4100K CCT, casting a natural white light that is similar to that of moonlight. Rain or shine, the LED modules in the Atlas Flood Light are protected by rugged traditional aluminum die cast housing. The smooth housing not only prevents water damage, but it also helps prevent debris build up and allows airflow over the housing. The die cast housing even helps protect against unwanted glare and offensive light. In other words, your light only shines where it is needed and wanted. 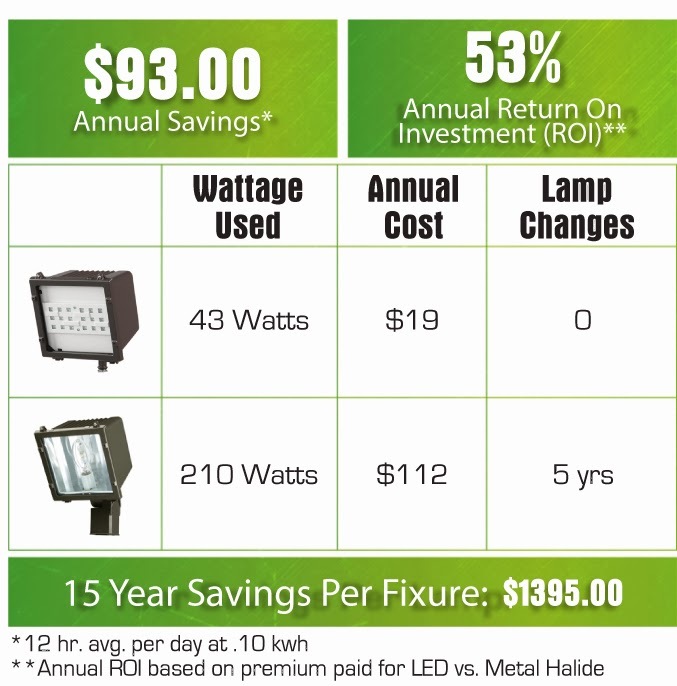 It’s just one of the many other ways that this LED Flood Light proves its efficiency. Atlas ensures a quality product at a low cost. The housing is designed to allow you the ability to upgrade fixtures gradually, ensuring a longer life for the product. The fixture is also compatible with previous models, reducing wiring costs. 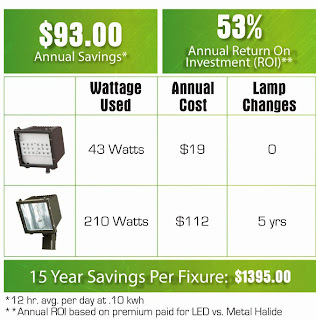 Plus, by using only 43 watts compared to the usual metal halide outdoor lighting use of 210 watts, the Atlas 43 Watt LED Flood Light can offer up to $93 in annual savings! If you have any questions about LED flood lights or outdoor lighting options, don’t hesitate to contact us. Leave us a comment and we’ll help you find an answer. Awesome post. Your LED Flood Light is very efficient and also good for use which is shown above. thanks for sharing it..
You have posted such a nice blog which is very knowledgeable. As we know LED is great replacement of old light blubs. Old light blubs were not working in flood like situation. LED Light Bulbs have low priced and low power consumption and great for any situation. LED lights are more energy saving over incandescent bulbs. LED lights 80% energy saving and have long life.Look some led products from led light in India.